Ernest Hemingway’s last major work of fiction, The Old Man and the Sea played out in real life last night off the coast of San Diego 63 years after it was written. We’ll call this version The Mad Man and the Sea…a tale of a tiny bass boat, a blue marlin, and one of the world’s most driven anglers. I have always referred to Kevin Mattson as “Mad Man” – because he lives life with a passion and drive for personal accomplishment in the outdoor realm unlike any one I’ve ever met, or heard about for that matter. I’ve seen him set lofty goals to do something no one else, or very few have done, and then obsess over the task at hand until he obliterates it with the determination of a pitbull. 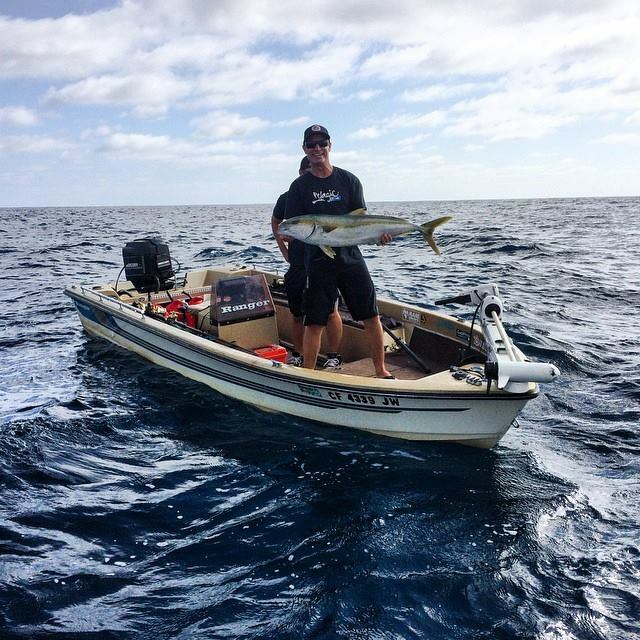 This spectacular season of sportfishing has presented some unique opportunities. 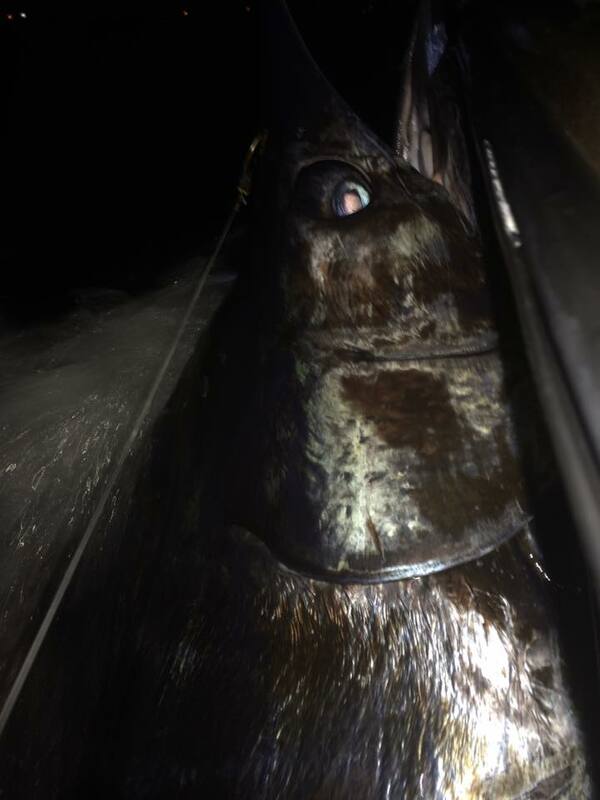 And in the last few weeks, perhaps the most alluring of them all…the realistic opportunity to catch a large blue marlin in local water. 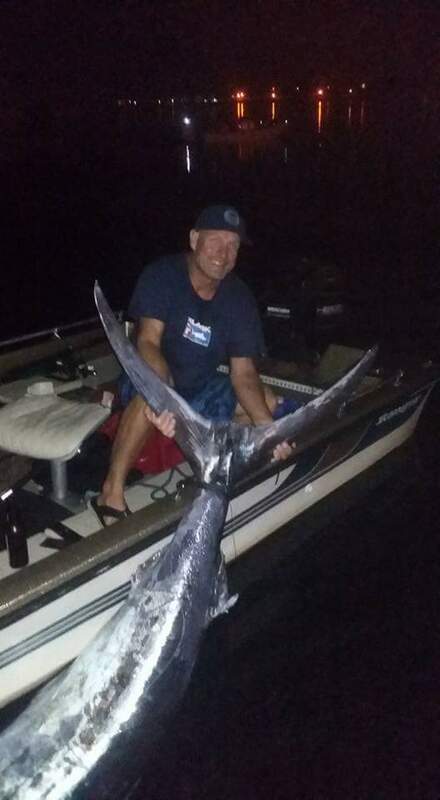 Knowing Mattson, seeing blue marlin caught in local waters probably lit a fuse immediately, one that reached its end last night. Dude, I got a blue marlin! Dragging it in now. Fought it into the dark!!! Got it! Maybe 300??? Mattson set out yesterday from Mission Bay in his 1987 Ranger Bass Boat with the single goal of catching a large blue marlin. He did. Of course. Kevin had been texting me over the last few days, talking about the odds of accomplishing his latest goal, and the steps he was taking to make it happen. 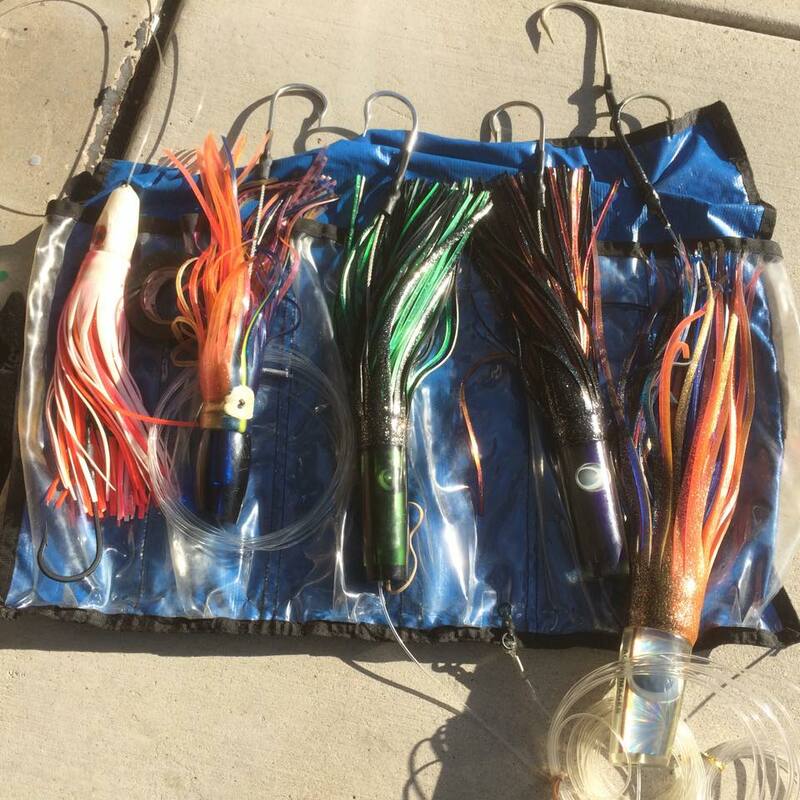 Two nights ago he sent me photos of the marlin jigs he was rigging up. The next day he had to put the chase on hold, the wind whipped up a little more sea than his little boat could handle. Everytime my phone notified me of a message from “Mad Man” the last few days, I opened it expecting to see a photo of a blue marlin alongside his brown bass boat. I was preparing to write this article for days now. And last night, about 10 PM I got the message I had been anticipating. “Got one!!!!!!!!! !” he said with a thumbs up emoji and the accompanying photo of a large blue marlin alongside his boat. “Dude, I got a blue marlin! Dragging it in now. Fought it into the dark!!! Got it! Maybe 300?? ?” he followed up with. 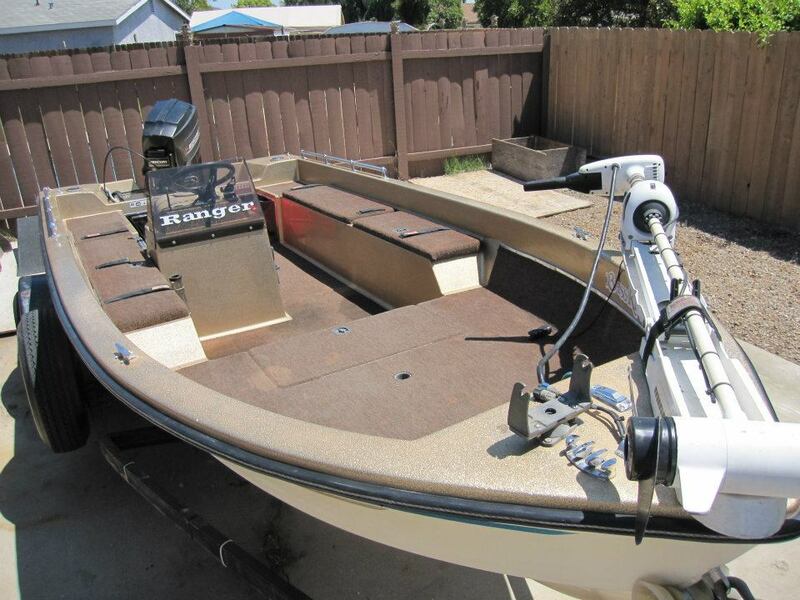 The fish died during the 2 hour fight, so Mattson tied it to the side of his little Ranger Bass Boat and made the roughly 10 mile trip back to Mission Bay, which took him 2.5 hours with the fish strapped to the boat. He arrived at Dana Landing at around 11:30 PM, where he solicited the help of some others to get the fish up onto the boat. He sent me another photo, the big blue marlin laid out across the front deck of his boat, he lying behind it with a grin from ear to ear. Kevin “Mad Man” Mattson has probably as impressive of a fishing photo album as any person on earth. It’s stuffed full of giant yellowtail, tuna, white seabass, wahoo, double-digit largemouth bass, topwater halibut, huge corvina, giant trout, and much more. I joked a few days ago that a photo of a big local blue marlin, his bass boat and he, would be the all-time greatest cover photo for that album.